Rikkha is a french punk rock band based in Paris. The band identity is made of a well balanced mix of several influences including Garage Rock and Cabaret. Their music and visuals are made of cinematographic atmospheres. It depicts the glory of a wild womanhood, seductive and savage. Tarantino, Rodriguez, Burton are inspiring Rikkha with their heroines and comics monsters haunting each one of their song. Prime mover of the project, Seb le Bison, music producer, composer, musician and aesthete joins forces with Juliette Dragon, queen of the Parisian nights and pioneer of the Burlesque movement in France. Together they create an astonishing stage cocktail . 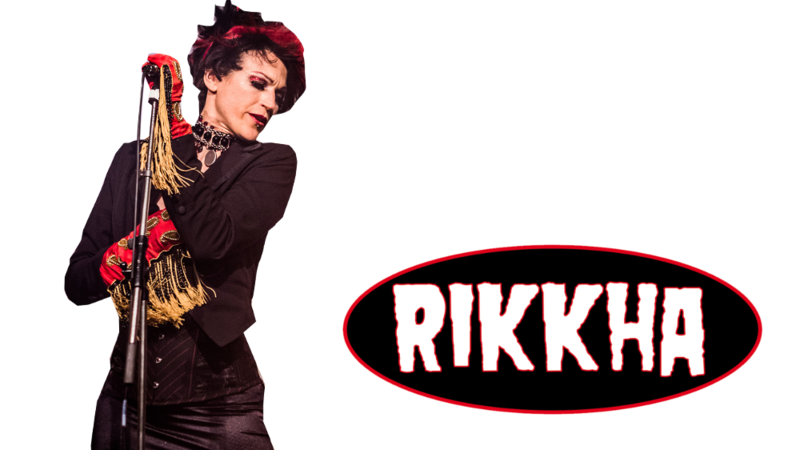 Rikkha live is a real Punk'n'roll cabaret inspired by pin-ups, superheroes and zombies from Z movies. Their californian nickname is: "The French Cramps"